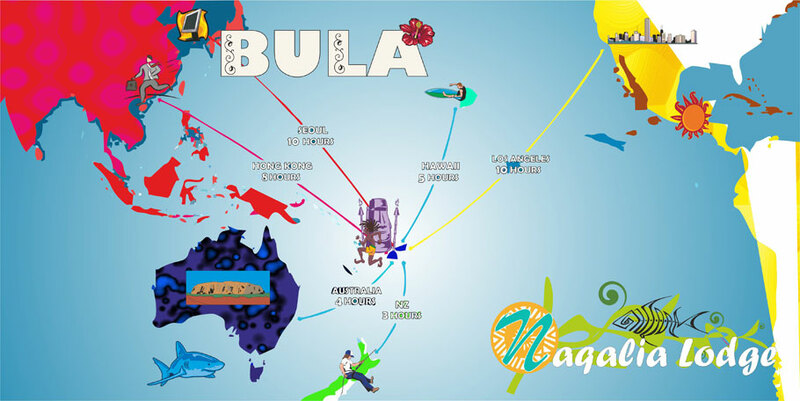 The main island of Viti Levu is the international gateway with the airport of Nadi. It is well connected with a lot of destinations (Auckland, Christchurch, Brisbane, Melbourne, Sydney, Honolulu, Los Angeles, Vancouver, Hong Kong and Seoul). 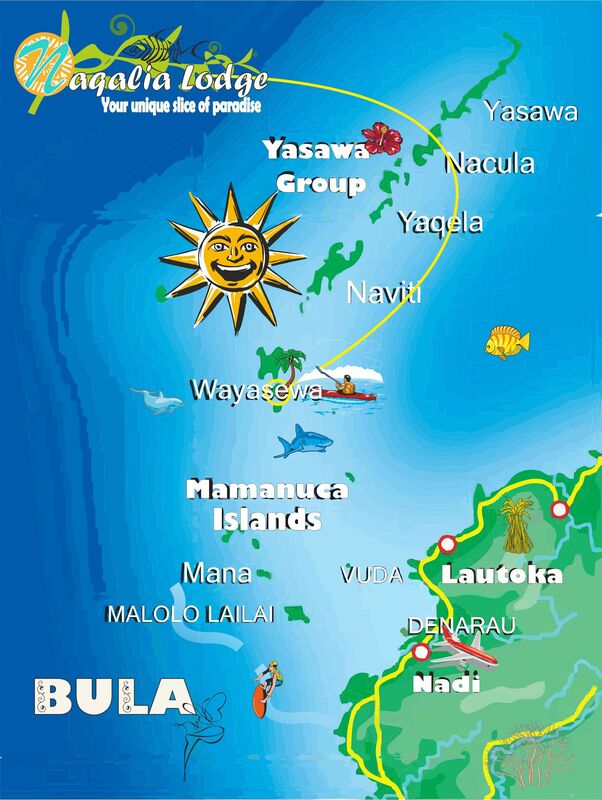 Fiji airways is the national carrier but there a lot more airlines like Jetstar, Air New Zealand, Korean Air, Pacific Blue, Virgin Australia, Air Niugini, Air Vanuatu, Air Caledonia and Air Pacific that also fly regularly to Fiji. Suva, the capital city, is the largest South Pacific metropolis outside of New Zealand and worth a visit to see modern Melanesian life at its liveliest. Meanwhile Nadi, the main transport hub showcases the country’s Indian heritage via sari shops and plenty of yummy curries. Fire coral, is easily identifiable by its tan, mustard or brown and is cover by fine hair like spikes. Never touch or walk on the reef is ALIVE!!! Sea snakes, are highly venomous with their typical black & white stripes, but their little mouths is so small that can bite the webbing between a baby’s finger. They will not attack people unless they are severely provoked. Stonefish and Scorpion fish, can inject venom through the pointy spike along their back. Moray Eel, have the unfortunate combination of sharp teeth and poor eyesight and will bite if they feel threatened!! Don’t put your hand in any dark hole along the reef. Cone shell, are really good looking shells, but they can deliver a venomous sting with the little critter inside the shell. Jellyfish, are often just irritating, not too painful, but should be treated immediately with vinegar. Crown of Thorns, have up 23 arms, can deliver trough the spines venomous , that can be really painful. Sharks, don’t attack often humans, but if are a little bit too aggressive o inquisitive push it away with your snorkel or something else. Sea Urchin, are generally black and white , the spine can penetrate neoprene wetsuite or booties , so watch up where you walk. Stingrays, normally submerge themselves in the sand. If you step on them by mistake can be really painful and dangerous. Is good idea to shuffle the feet when wading along sandy shorelines to avoid such an encounter.